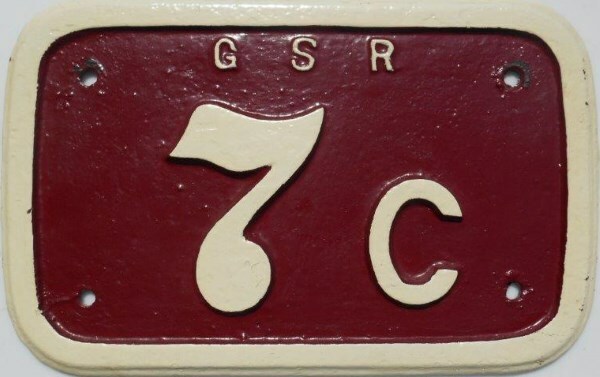 Lot 152 C/I Locomotive Cabside Numberplate "G S R No 7c". Ex West Clare Railway No 7, named "MALBAY". As carried by a Hunslet 4-6-0T, Works Number 1433/1922 – Renumbered "GSR 7c" in 1925. Front restored. Size 17" x 11". An extremely rare survivor from this period. Restored front.